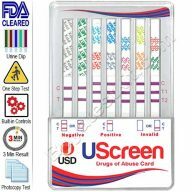 The 10 panel drug test from UScreen is FDA 510(k) cleared for use at home or the workplace. 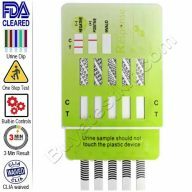 It features a urine test for ten drugs while monitoring urine temperature and specimen validity; this integrated cup device makes for easy use with a one-step operation. 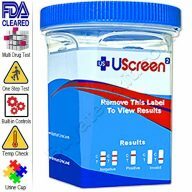 This is a split cup design suitable for shipping to presumed positive tests to a lab for confirmation. 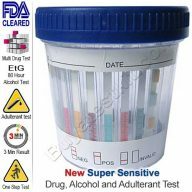 It is a no-step product detects ten drugs. 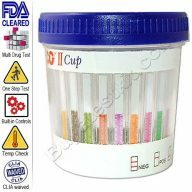 It includes a cup with a sample temperature check. 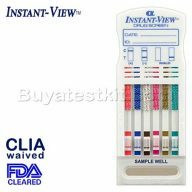 10 panel drug test is FDA 510(k) cleared and CLIA waived. Available in two configurations. 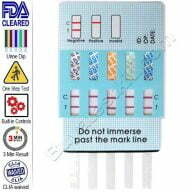 10 panel drug test kits are manufactured for the detection of ten drugs per test. 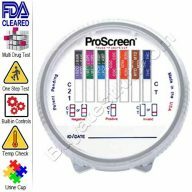 They detect ten drugs simultaneously. 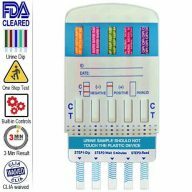 | Very simple to use. 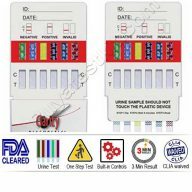 | Rapid results. | 99% accurate. 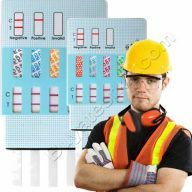 | Low cost. | Long shelf life.